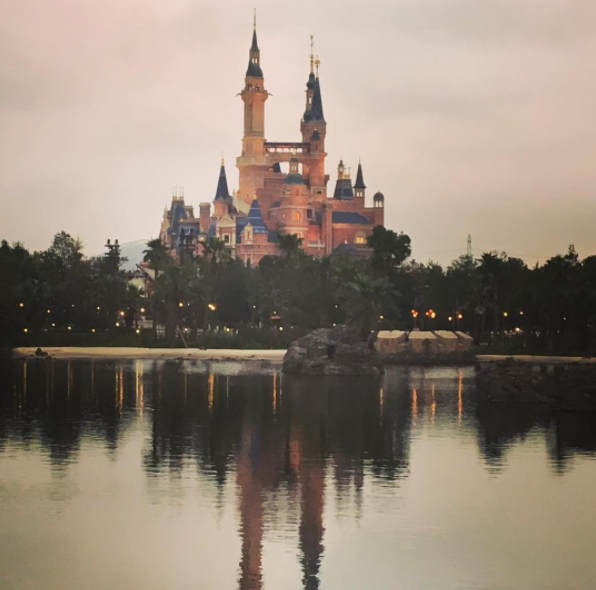 In case you're planning an upcoming trip to Shanghai Disneyland, I wanted to share with you my Top Tips so that you know exactly what to expect ahead of your visit. In other words, these are the pieces of information that I wish I had known before my experience of the park. Please sit back, relax and read on. Hopefully you'll be grateful of these tips when you arrive and are so well prepared... haha, you're welcome! 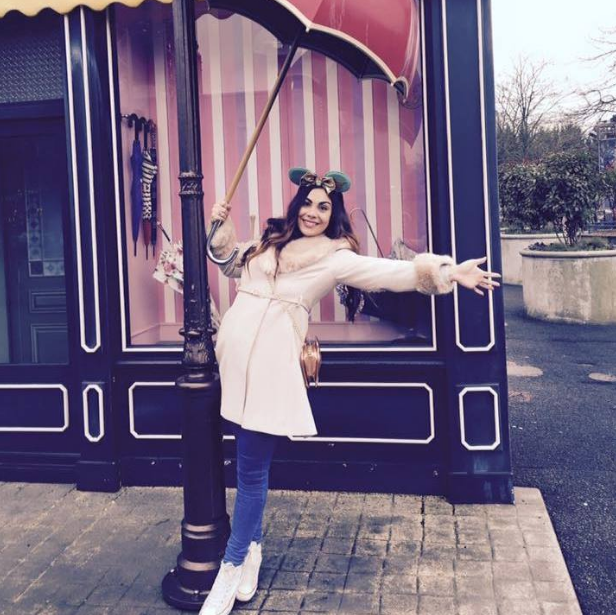 On my first day at Shanghai Disneyland, I was travelling from my best friend's apartment in Shanghai city centre where I had been staying. I was fully prepared to get to Disneyland very early as I know how the parks can be from previous experiences. We ended up leaving the apartment at around 7.30am before making the 1 hour metro journey to Disney Town station. This still wasn't early enough. When we arrived at the hotel, the service was seamless and the staff had the best level of English that we had encountered throughout our entire China holiday. The service was so quick, that after we had collected our park tickets from the concierge, the same bus that we had taken to the hotel was still waiting outside and we were able to hop straight back on it to the park! Then of course there was the matter of entering the park...it was already quite late in the morning at this point and the security line was NUTS. Honestly, I have never seen anything like it. There is a set of security lines to the left of the entrance of the park and another set on the right. Typically, if you arrive from Disney Town, you'll meet the lines at the left first and for that reason, they are generally a lot busier than those on the right. It's worth walking the extra few metres and queuing over on the right hand side... this queue definitely went a lot quicker than the left when I was there! 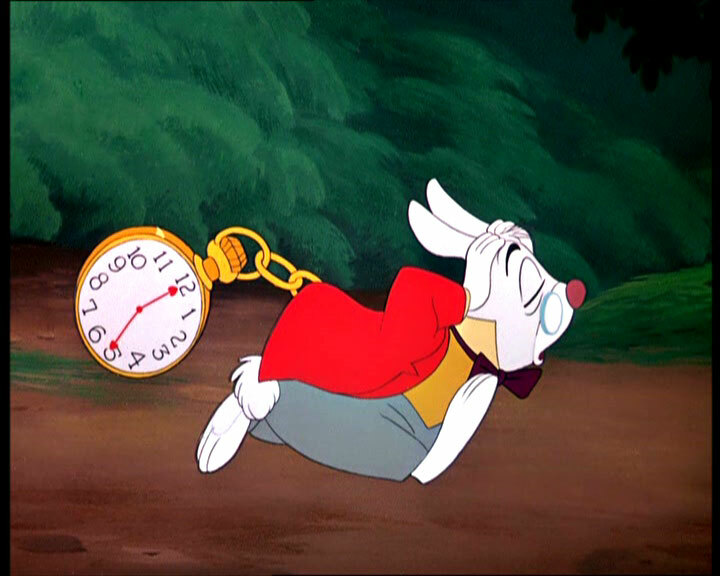 Now, before I begin with this top tip, please remember that this post is exclusively about Shanghai Disneyland and in no way am I suggesting that you should avoid getting fastpasses in Orlando, Paris or any of the other Disney parks. 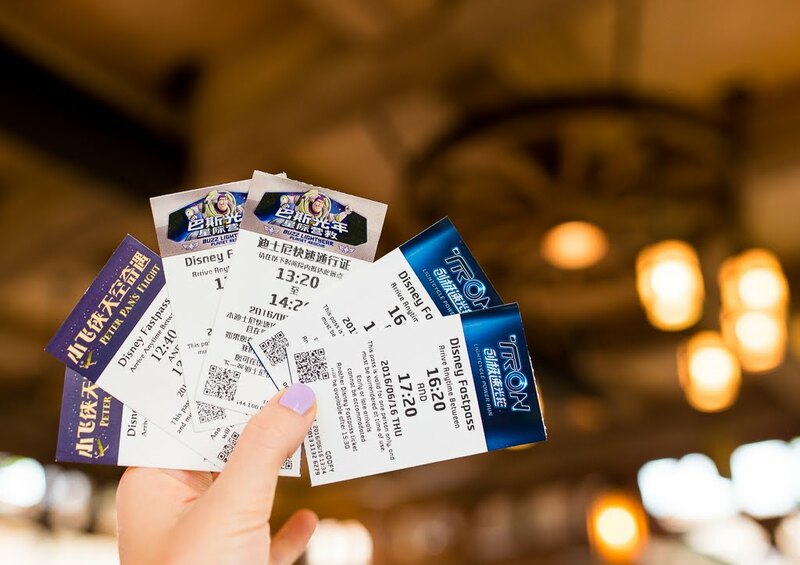 Do you really need to get a fastpass? The way that the fastpass system works in Shanghai Disneyland, is that you queue at the guest relations centre in the land of the attraction that you wish to get a fast pass for. For example, if you want a Tron fastpass, head over to Tomorrowland. If it's Soarin' that you're interested in, you'll need your fastpass from Adventure Isle and so on. 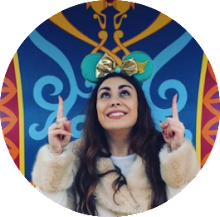 Let's pretend that you want a fastpass for The Seven Dwarves Mine Train for example. You would be queuing in the fast pass line at Fantasyland alongside guests who need fast passes for Peter Pan's Flight and Winnie The Pooh's Hunny Pot Spin in addition to the mine train. Bottom line... this makes for a very long queue with guests all arriving for different attractions. This is especially an issue in lands that have lots of popular attractions as I'm sure you can imagine. The fast pass queue was taking guests about 30 minutes whilst I was there so what I'm saying is, if the ride only has a 45 minute queue, is it really worth bothering with the fast pass line where you're not guaranteed the slot you want anyway? We did get a fastpass for Soarin' on our second day, as it had a very long line in the morning, but we probably could have ridden without it and still queued for less than an hour later on. Other than that, we did not require any fastpasses... not even for Tron which we managed to ride four times and pretty much without queuing for each of them. Tron Selfie: Chris and I enjoying the ride for the third time! We all know that parade time is a great opportunity to ride the big coasters without a huge queue but hear me out! Remember, Shanghai Disneyland has THE LONGEST parade route of any other parade in any other Disney Park in the world, so it does take its time to get to all those patient people who are situated all over the park. Take full advantage of this and if required, make sure you put your personal items away in the Tron Lockers BEFORE the parade starts so that you are not interrupted on your way there after that last float has passed you by. Disneyland food has a little bit of a bad rep when it comes to cost and also choice. Sadly, this is no different in Shanghai. As China is definitely more affordable generally than the west, you really notice just how expensive Disney is in comparison and the food is no exception. I was also disappointed to find that instead of cute shaped dim sum and exciting Disney-inspired noodles which I had expected, I was met with burgers, fries and other poorly interpreted Western dishes. 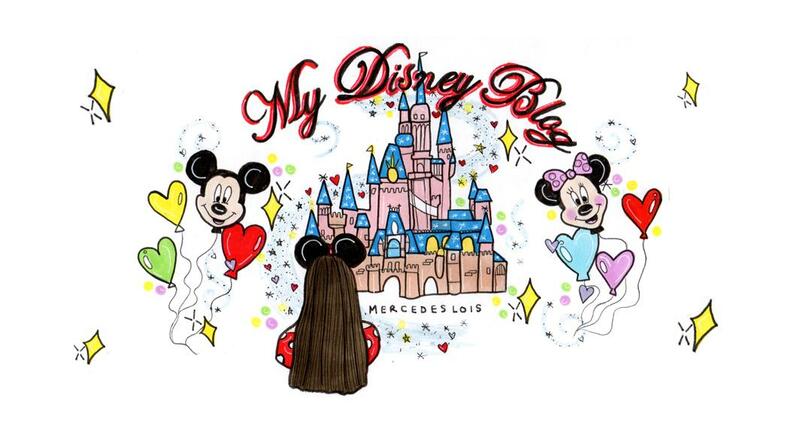 My advice would be to eat exclusively in Disney Town; yes, you could argue that the restaurants there such as Wolfgang Puck and Cheesecake Factory are going to set you back even more so than if you dined at Disney Quick Service locations in the park however, the difference in food quality is incomparable. If I'm paying a lot for overpriced food anyway, I'd rather pay a little extra and get great tasting food that is excellently prepared. Despite this, I did have to try the infamous Mickey Pizza smothered in duck and hoisin sauce that we have all seen on Twitter and Instagram since the park opened. Whilst it looks great and is a clever take on popular Chinese cuisine... I would not recommend it! It was not very appetising! So for this tip, I didn't actually discover it until leaving the park on the first day to get dinner in Disney Town; my Boyfriend Chris noticed a secret exit out of the park which avoided the huge lines of security at the end of Mickey Avenue and lead directly into Disney Town! Luckily, after dinner, we were allowed back through this gate which once again, sped up the security process as nobody really knew about it. I have marked this gate with a pretty poor freehand heart for you on the map above; we also entered through this gate on our second day so I can confirm that it is also open in the mornings! I strongly recommend you utilise this during your visit. It really saves time! That's all for now guys and gals. If you have any questions on this or any other Shanghai related business, please let me know if the comments and I will do my best to get back to you.